Why do surveys overestimate the number of people experiencing the Xbox 360’s dreaded Red Ring of Death? 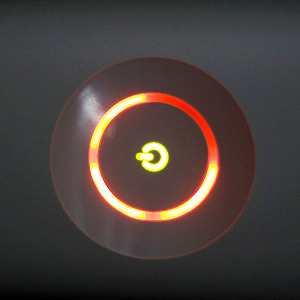 Lord knows I’m familiar with the Xbox 360’s “red ring of death,” or “RROD” as it’s not so affectionately called. I’ve encountered it twice myself. The term refers to what you get on the front of Microsoft’s console when its notoriously high failure rate kicks in and the thing stops working. This tends to be a touchy subject for Xbox owners, who tend to light up the torches and grab the pitchforks whenever it’s brought up. Earlier this year the magazine Game Informer made a lot of headlines by reporting that according to their research, a mind blowing 54.2% of Xboxen crapped out, which is a failure rate traditionally reserved for mundane things like marriages. 1 Immediately across the Internet people started screeching this number as fact. I should know about the RROD. I've had 2 myself. Game Informer surveyed 5,000 of its print subscribers to gather the data. I couldn’t find a copy of the actual survey, but let’s give them the benefit of the doubt and assume that there were no leading questions or other shenanagains that would influence subjects’ responses. The problem that persists, though, is related to what psychologists and others refer to as “sampling errror.” This is when the sample of data you collect is somehow biased, skewed, or otherwise not representative of the larger group of people that you’re really interested in (“the population” in inferential statistics parlance). So what should Game Informer have done? The best way to eliminate sampling error is to survey people from the population of interest randomly and not rely on self-selection to be in the sample. Sending surveys randomly to people who have registered an Xbox 360 would reduce (but not eliminate) sampling error. Same for randomly surveying people in a shopping mall or cold calling them. Sure, this is hard and expensive and not always practical, but the bottom line is that if your research has flaws like potential sampling error you should note it, and reporters –even in the gaming enthusiast press– should be savvy enough about these things to note them when reporting on them instead of screaming “54%! 54%!” because it makes for good headlines. This was a self-selecting survey, so it doesn’t represent a random sample of console owners. It’s likely that people whose consoles have had problems are more motivated to fill out the survey, but the results are still interesting when you compare the Xbox 360 to its competitors. …The survey did not distinguish between the Xbox 360 Arcade and Elite versions, which are very similar, or the PS3 and PS3 Slim, which has only just been introduced. So good on them. The next time you see survey results cited anywhere, think about how credible they are by taking sampling error into consideration. 1. Just kidding. I LOVE MY WIFE! 2. At least they got an adequate number; 5,000 is actually way more data points than you need for something like this. 3. SPOILER ALERT: No. No you would not.